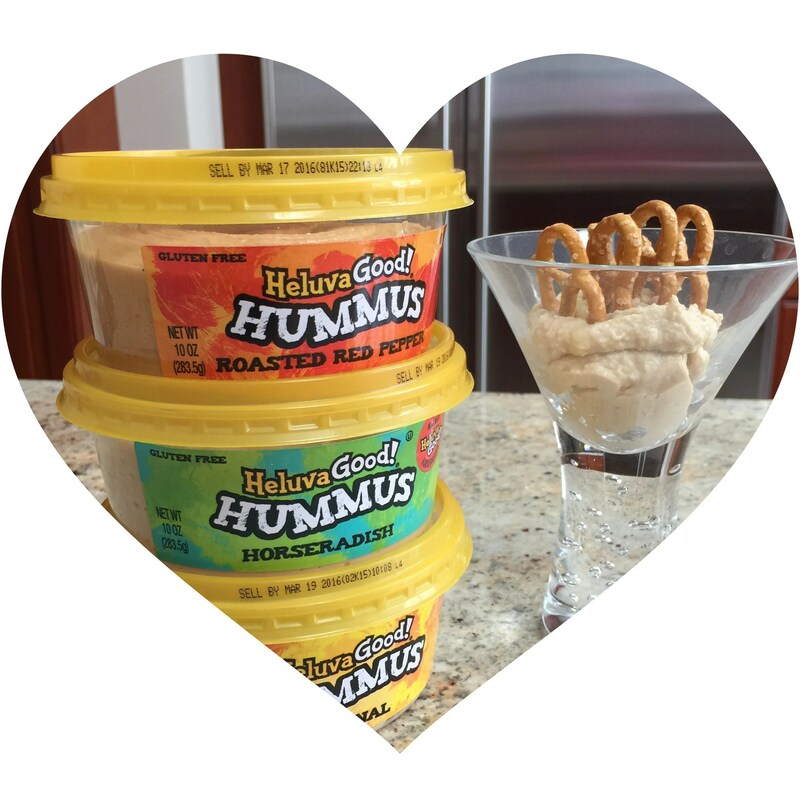 I love, love, love Hummus. Whether it is spreading it on a sandwich, or dipping a pretzel in it, we always have a tub of it in our fridge. Yet, I have to admit, I have never cooked with it. So when Heluva Good! 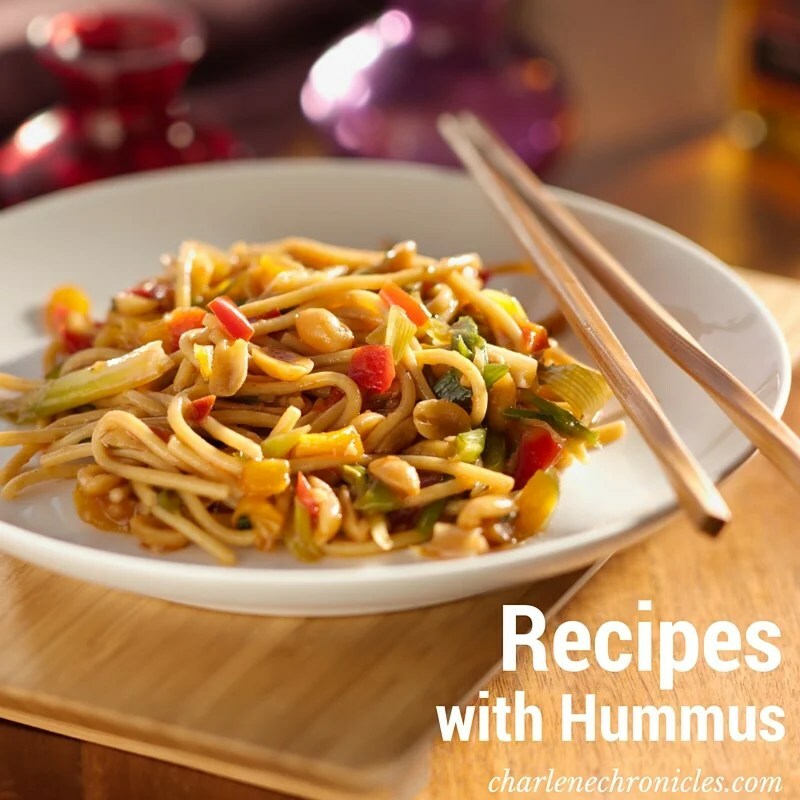 Hummus reached out to see if I would share a sponsored post, I thought it was a great time to expand my hummus repertoire, and share some fun hummus-based recipes. Heluva Good! Hummus launched in the fall of 2015. Although you may know the brand like I do, from their yummy dips. As a brand fan already, I was excited to see if their Hummus was as scrumptious as their dips. In my opinion, they nailed it with the consistency (not gritty) and the right balance of the hummus flavor and the flavor additions. It definitely lives up to the ‘Good’ in the name! With the dynamic flavors and the great consistency of the Heluva Good! 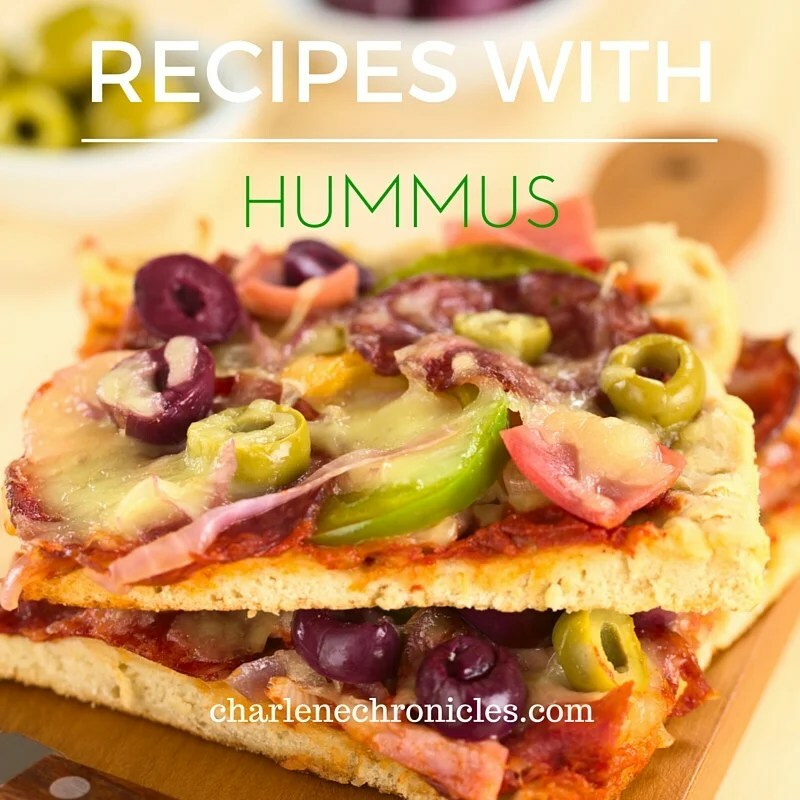 Hummus, I wanted to add it to a variety of recipes to show that hummus is more than just for pretzels. I had requirements in my recipe research: the recipe with hummus had to be easy to make, be a meal that the kids would eat, and the ingredients in the recipe had to be simple. Then I wanted a variety: salad and soup, pizza and pasta and more. So here are the hummus recipes that we found, used and loved! In a small bowl, combine 8 thinly sliced black and/or green olives, one thinly sliced green pepper, one diced or cut tomato, 1/2 of a thinly sliced red onion, 2 Tsp oregano leaves, 4 Tbsp. olive oil, salt and pepper to taste, for a veggie mix. Then divide 1 cup of Heluva Good! Roasted Red Pepper Hummus, and spread evenly over a 4 pieces of flatbread or naan bread. Then divide the veggie mix and spread evenly over each piece of bread. Sprinkle each with Feta Cheese and serve immediately. Cook 1/2 of a chopped red onion in olive oil until softened in a skillet. Then mix the onions with 1 lb. uncooked ground beef, 1/2 cup of Heluva Good! Horseradish Hummus, and about 2 Tbsp. finely chopped parsley if desired. Shape into burger patties, then cook. Once it is cooked the way you want; serve on a toasted brioche bun with lettuce, tomatoes, and more Heluva Good! horseradish hummus! Perfect for when you want something light or just need a side dish. Increase the ingredients if you want it to be more of a meal. Whisk together 1/3 cup orange juice, 2 Tbsp. original Heluva Good! Hummus, and 2 Tbsp. olive oil; season with salt and pepper. Toss the dressing into a pound of romaine hearts, 1/2 sliced red onion, 1 cup quartered cherry tomatoes, and any other add-ons like crumbled bacon, mushrooms and/or cucumbers. This is one of those recipes that work for breakfast, lunch or dinner. Take 4 english muffins and split them in half to create 8 open faced slices. Toast each. While they are toasting, cook spinach and mushrooms in a skillet with a bit of olive oil. Once cooked, place the toasted english muffins on a cookie sheet, spread the hummus flavor of choice hummus on each, place some of the spinach/mushroom mixture on top, and top with a spoonful of shredded mozzarella cheese. Broil until the cheese starts to bubble. Add a cooked egg to the top if desired. Then serve! Make any pasta you would like: brown rice, quinoa, shells, ziti, or spaghetti. Cook separately your favorite ingredients, like diced zucchini, sliced mushrooms, and peas. Also mix together 1/2 cup chicken broth with 1 cup of original Heluva Good! Hummus. Mix the hummus sauce into the pasta and veggie mix. Serve immediately. One other notable I wanted to share, but does require more culinary skills, is a Mushroom Hummus Soup recipe from the Food Network. Yum!